Embrace your natural hair with a box braid hairstyle! 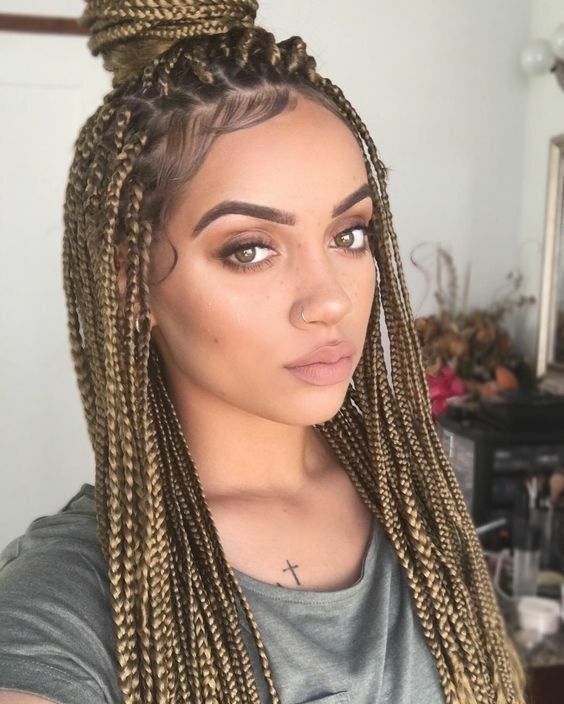 One of the great things about box braids is that they’re low-maintenance, if done right, you can even keep them for months on end! 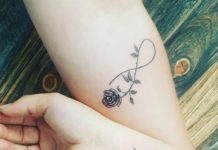 Their versatility is perfect for girls who like to personalize and change up their style on a regular basis. 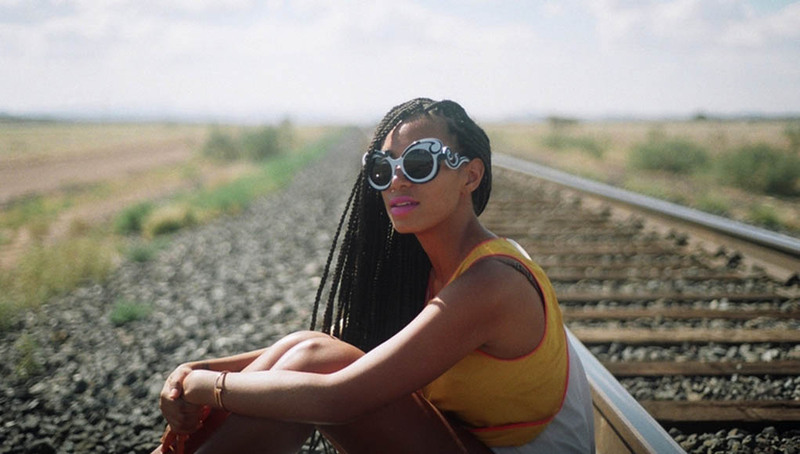 Not to mention, box braids are a stylish way to protect your natural hair during the cold, winter months. 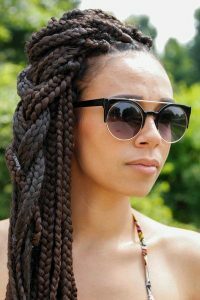 Whether you have big braids or small braids, here are 20 box braid styles to help you beat the hair doldrums! A great alternative to wearing your braids loose and down, this look is not only easy to maintain but looks great! Gently twist your hair into a loose ponytail that you fasten at the back with a hair tie. For a look that is playful and flirty, try this topknot. 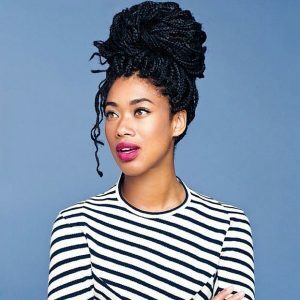 Pulling your hair into a tight topknot keeps your hair out of your face, but you still get to have the fun of a downdo. This is a great look for its two-in-one combo! This style is elegant, perfect for a fancy occasion or just a day you want to look and feel your best! Not to mention, a great do if you want to show off some new earrings. Getting this look is simple- tie your hair into a high ponytail, braid it and wrap it around the base of the ponytail. Show off your best side with this one-sided hairstyle! Sweep your long locks to one side of your shoulder, and execute a deep side part to emphasize the look. For stability, you can even put in some pins on the other side! For a look that is simple and elegant, yet a bit on the edgy side — try this look called “the ring”. The asymmetry makes this look more interesting than your average! To get it for yourself, twist all your braids in the same direction, and then pin them to one side with bobby pins. We love this look because it is simultaneously decorative and functional. 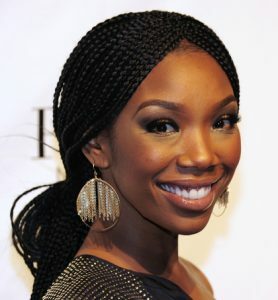 A high ponytail is easy to get around in whereas the braided bangs add an intricate touch. Beware: this look isn’t for the shy of heart. 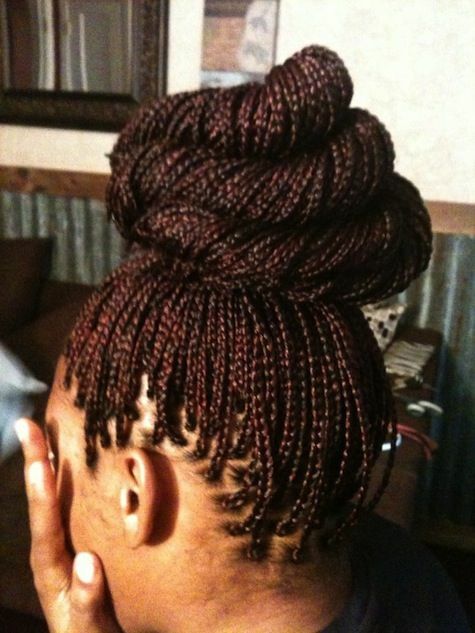 Make a bold and dramatic statement with this thick spiraled bun! 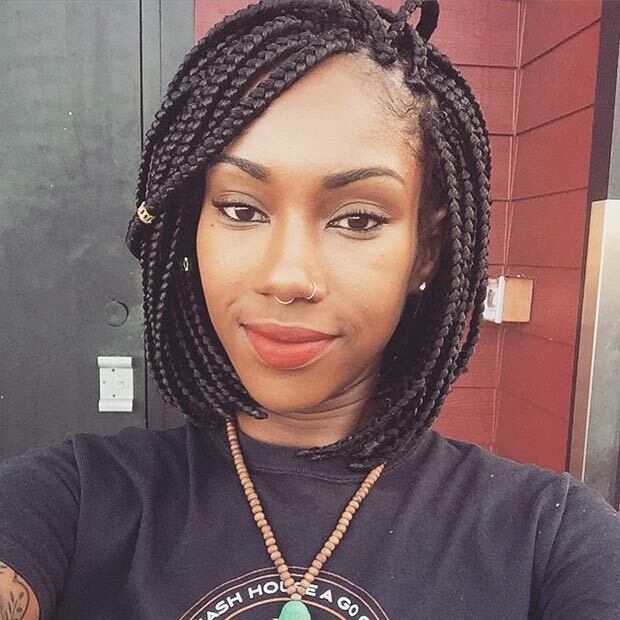 You’ll need extensions that are on the thicker side to pull this look off. Leaving the rest of your hair down provides a nice contrast to the rest of the look. 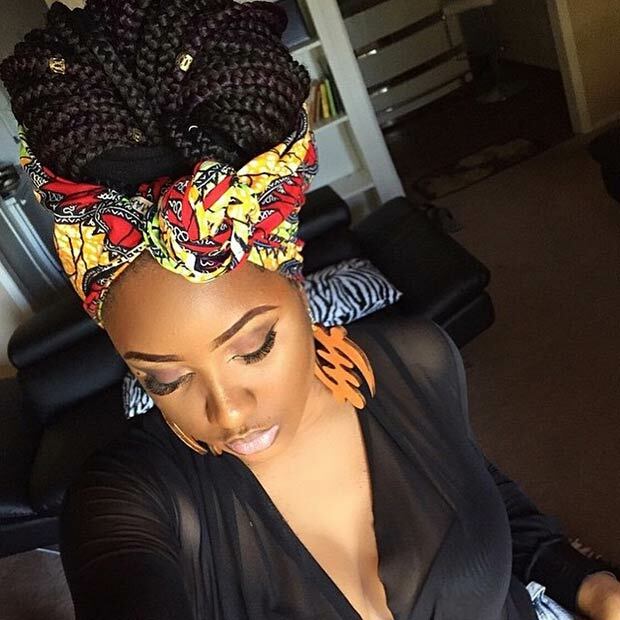 Show off your unique sense of style by adding beads to your ‘do. Play around with different shapes, sizes and colors for a look that best showcases your personality. This is an easy and fast way to update your look without changing your hairstyle. 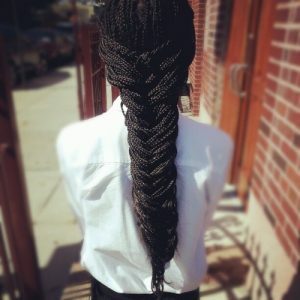 Try out a new type of braid with this fishtail braid. Braid-inception! This look is creative and neat! You can change up and customize this style for yourself by wearing it high, or in a low ponytail as pictured. Inject a splash of color to your hair for some daring fun! 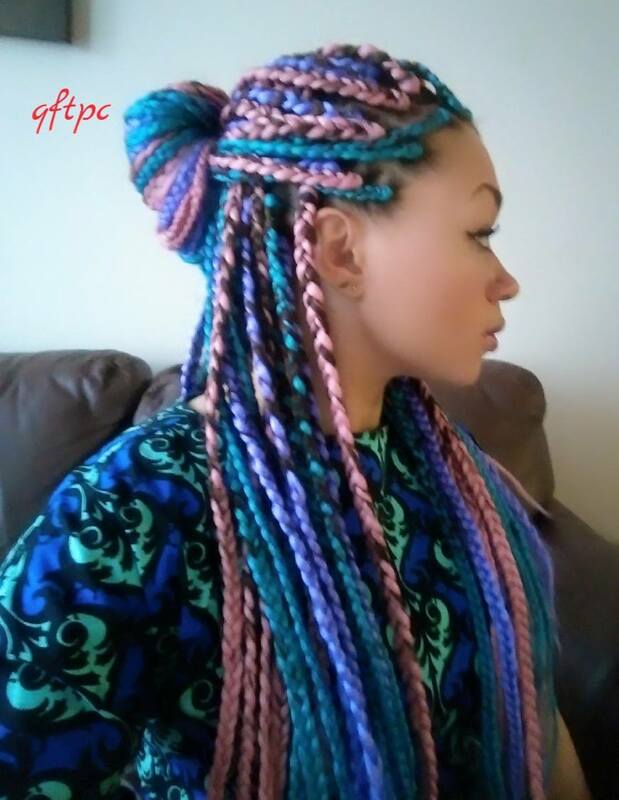 We’re loving these pastel and electric shades of pink, blue and purple that intricately weave in and out of this half-up do. Try out your favorite shades, or even wear a different color every season! Don’t let the girls with long hair have all the fun! Savor the freedom of these short box braids that are easier to maintain, and lighter! Not to mention, short hair is all the rage this season and this helps you keep in step with the trends while showing off your natural hair. 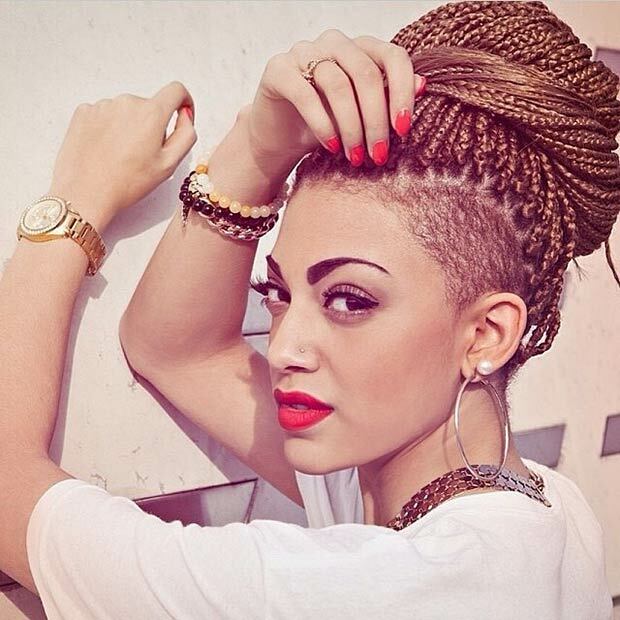 Add some edge to your look with these fierce shaved sides. 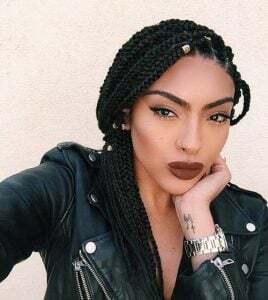 You can cover them up with your long braids, or show them off with a high updo. Bonus – undercuts have been dominating Hollywood recently, so here’s an easy way to be glamorous and fresh! 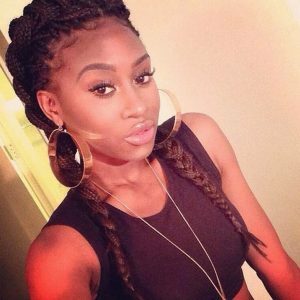 If your box braids are on the thinner side, try out this cute french braid pigtail. Pigtails are an adorable throwback to your schoolgirl days that you can update with chunky accessories. A quick way to get your hair out of your face that’s more stylish than a ponytail! Getting bored with your hair? Accessorize, accessorize, accessorize! 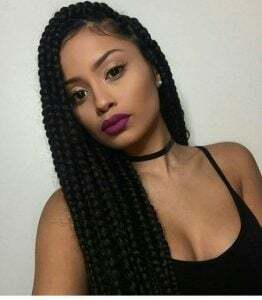 Box braids look amazing with scarves so bust out some colorful prints and shades for a look that is eye catching and fresh. Scarves are also a great way to turn a bad hair day around! 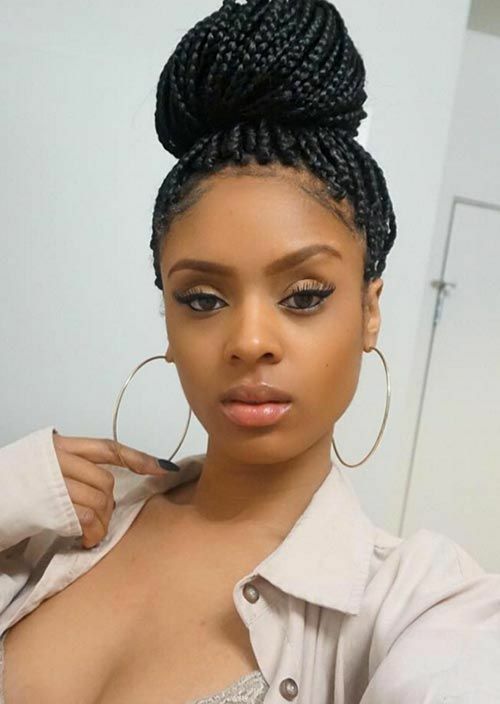 These pigtail buns are a playful and cute updo that allows you to have your hair both up and down. Channel your inner Sailor Moon with a look that is straight out of anime and sci fi fantasies. Or take your look in a different direction, as a 90s throwback! Sometimes being carefree is the best way to look polished. For busy days, pile your hair into a messy, spontaneous bun. Let braids swing loose for a casual elegance! For a look that is glamorous yet laidback, try this low, loose ponytail. 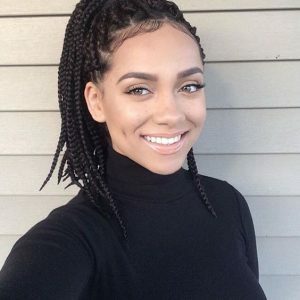 It’s more formal than a regular ponytail, but more casual than an updo, so it’s perfect for a night where you want to look regal yet comfortable. Get red carpet ready (or maybe just prom ready) with this low side bun that is sophisticated and glamorous. 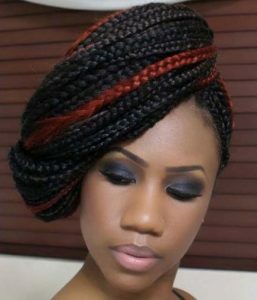 You can weave some braids into the bun for a more intricate look, or just pin the bun into a spiral for a more simple feel. 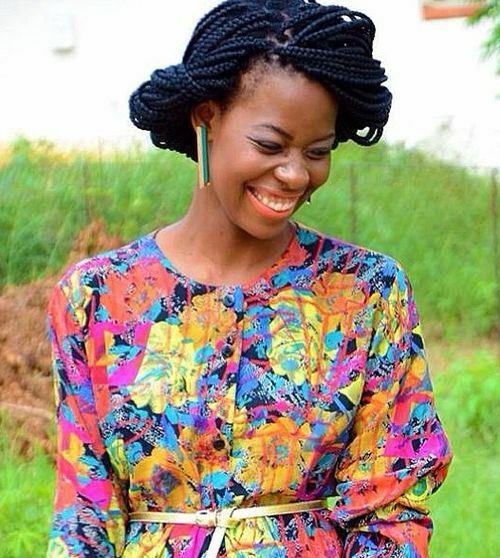 This hairstyle shows off necklaces beautifully! 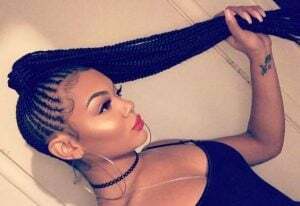 Push all your hair to one side and braid the top section into a loose, chunky braid. Leave the rest of your hair down to recreate this stunning, casual style. Flipping your hair to one side brings out beautiful volume at the top! A halo for an angel, a crown for a princess… show off your inner royalty with this beautiful braid that delicately frames your face. You can make the “halo” bigger or smaller, looser or tighter, based on your personal sense of style! 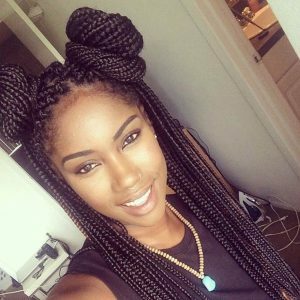 We hope you’ve enjoyed our top list of braiding hairstyles and box braid styles! Next articleBest Lipstick Shades You Must Try This Season! Hannah Kim is a writer and thinker who currently resides nowhere as she is traveling.